Leading crop scientists who attended the 12th Congress of the European Society for Agronomy at Helsinki confirmed that agronomic measures such as support for greater crop diversity can be used in CAP reform to improve the environmental performance of cropping systems. In a formal statement, they acknowledge that getting an environmental dividend from support payments inevitably means influencing and changing how farmers manage their land. However, they say that the only proposed measure directly affecting agronomic practice (‘diversification’) will not deliver significant environmental improvement over most of Europe’s main cropping areas. The development of their Statement and the Society's discussions were coordinated by Dr Donal Murphy Bokern and Dr Fred Stoddard as part of the Legume Futures support of the Congress. The European Union pays farmers on average about 269 Euro per hectare per year in direct aid. A set of proposals (the so-called ‘greening proposals’) to link these payments to the increased protection of the environment while preserving and enhancing food production has been provided by the European Commission. 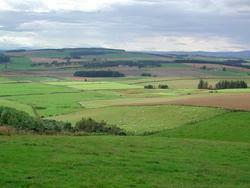 Three measures to change how agricultural land is managed have been proposed. One concerns crop ‘diversification’ and focuses on the range of crops farmers grow. The benefits of growing a range of crops, particularly in rotation, have been known for centuries and the findings of pioneering agronomists hundreds of years ago are still valid today. On the typical arable farm, growing a diverse range of crops in rotation brings benefits for biodiversity, reduces reliance on fertilisers and pesticides, and improves the soil supporting high productivity in the longer term. The range of foods produced also increases. However, the Congress warns that the ‘diversification’ measure as proposed will not significantly influence farm practice and therefore is not going to effectively support the overall ‘greening’ goal. ‘Diversification’ is the only in-field agronomic measure proposed. The scientists call for recognition of the diversity of agro-ecological zones in Europe. A ‘one-size-fits-all’ approach constrains the development of measures that effectively support the sustainable development of European farming. The Commission should aspire to develop flexible but demanding agronomic measures that target regional environmental challenges and opportunities. Specifically, they draw attention to the weak effect of the diversification proposal and urge recognition of the benefits of growing different types of crops in rotation in most of Europe’s main crop producing regions. The scientists urge greater recognition of the well established benefits of taxonomic (e.g. different plant genera) and agronomic diversity and note that the proposed diversification measure neither promotes that diversity, nor requires the rotation of crops, although many resource-protection and environmental benefits of crop diversification in annual cropping systems depend on it. They call for incentives for crop rotations that provide long-term agronomic and economic benefits. Dr Fred Stoddard, the Society’s President, summarises the views of members at the Congress: “The Commission is right to seek to changes in agronomic practices if it is to ‘green’ the CAP, but the only measure that targets agronomic practice is unlikely to substantially change practice on most of Europe’s arable farms. With the exception of some cereal-growing areas of the Mediterranean and some farms that are heavily specialised in growing maize, few mainstream arable farming systems have more than 70% of the area allocated to one species. On typical arable farms, crop diversification brings benefits only when different types of crops are grown in rotation – the proposal fails to support these key features”. Dr Donal Murphy-Bokern from Germany provided some historic perspective: “This is the first reform to propose a specific agronomic measure affecting in-field crop production practice to deliver public benefits. So it is particularly appropriate that the biannual congress of the European Society of Agronomy contributes to the debate. Obviously, there is opposition from some agricultural interests to changes that require farmers to deliver environmental benefits – but reform by definition is about change and the need for reform is a political reality”. While debate about crop diversification rages in political circles, the scientists who study cropping systems have so far not expressed a collective scientific opinion. It seems that everyone in the agricultural policy community is involved in the debate about this agronomic measure except Europe’s agronomists and this Statement changes that” said Dr Christine Watson from Scotland. “Our position is a scientific one – we are saying that changing cropping patterns, especially through rotating different types of crops, will support the overall goal. However, our knowledge and experience as agronomists tells us that this proposal will fail to require such change on most of Europe arable farms”. The European Society for Agronomy (ESA) (www.european-agronomy.org) is a scientific society created in 1990 with the aim of promoting the science of agronomy and its use in agriculture and rural development across Europe. It has more than 300 members from all countries of the European Union. The proposals to reform the Common Agricultural Policy of the European Union were published on 12 October 2011. They set out the European Commission’s plans for reforming how farming is supported with public money across the EU post-2013. This reform represents a further step in a process that started in 1992. Having introduced a single farm payment that is ‘decoupled’ from production in 2003, the Commission proposes that 30% of these direct payments to farmers (which in total average 269 Euros/ha/year) be made in return for improvements to the environment and protection of natural resources. Through this so-called ‘greening’ of direct payments, the Commission hopes to combine viable and diverse food production with improvements to soil, air, water and climate protection. The ‘diversification’ measure sets out that on most farms, one species (e.g. wheat or maize) should not account for more than 70% of the cropped area and that at least 3 crop species should be grown with none less than 5%. The Congress was critical of this ‘one-size-fits-all’ approach pointing out in addition that it does not require rotation of crops and that the 70% threshold is already met by most farmers in Europe’s main crop producing areas. The proposals are currently the subject of intense political debate at European level involving political institutions, farm organisations and Non-Governmental Organisations. The reform package as a whole will be decided on by the Council of Agricultural Ministers and the European Parliament.